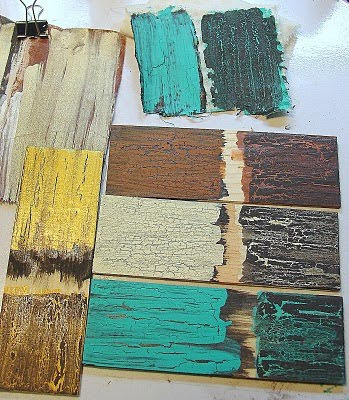 If you like a crackle finish on things, you must see this tutorial on how to get a crackle finish using ELMER'S GLUE! See it at Make The Best of Things! Go HERE. Thanks for the tip - this is brilliant! I'm linking to the tute on Dollar Store Crafts in a couple days, with a shout out to you for always finding such great things! great tip...just in time for my crafty stuff! Michelle, thanks for the feature on my Elmer's glue crackle technique. When I think of how much money I used to spend on crackle medium I could just kick myself. Thanks so much for featuring my blog post! I have done this before...it rocks!!! This is totally fantastic. Thanks for sharing this tutorial! have a lot of creativity is admirable, I commend you for what they teach in the post, and because they are very creative, and that's very nice!